Symptoms: A lovely meal out – then cramps for after. Is this you? You know which foods affect you, but you still eat them – often because you’re too polite to say no, with one in five of us submitting to culprit foods when we visit our in-laws, according to a recent survey. Symptoms: Muffin top – says it all. Symptoms: You’re stuck for ways of treating your constipation. Is this you? You eat healthily but still don’t go to the loo regularly enough. You’re reluctant to try laxative in case you become dependent on them. Symptoms: You’re mystified by your IBS diagnosis. Is this you? You suffer with IBS but haven’t found a food link to your problems. If you keep a lid on your feelings, your gut could be trying to tell you something – it’s closely linked to the brain that it feels stress even when you are not acknowledging it. What to do: Take note of emotional triggers, as well as issues around food. 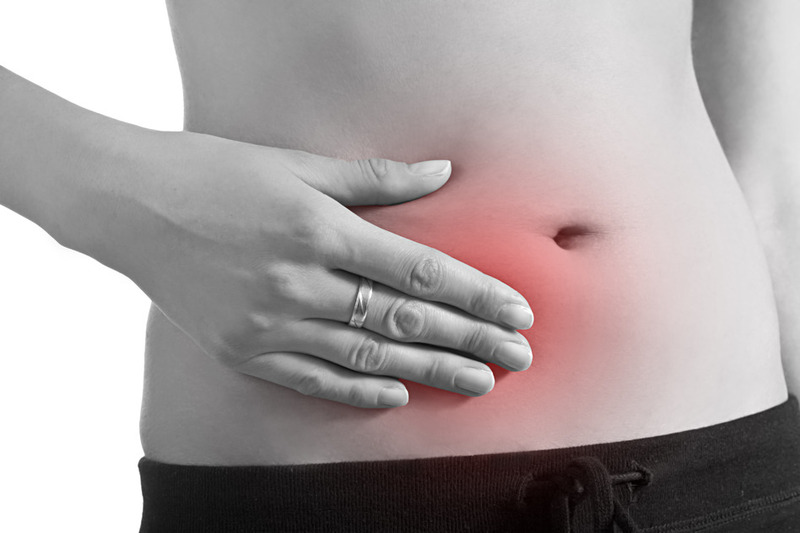 ‘Does your IBS flare up around work, travel or certain people? Does it calm down at weekends, in the evenings or on holiday?’ Try hypnotherapy. Symptoms: The fat on the front of your feels hard rather than wobbly. Is this you? Even if your tummy’s okay on the inside, the stress hormone cortisol causes fat to gather on the belly. What to do: Take control of the stress triggers in your life. You may not be able to change your job or boss, but you can cut down on caffeine, which heightens stress. Yoga and walking both help, too. Symptoms: Overweight and bloated, heartburn, bad breath and indigestion. Is this you? You’re tired, overweight, prone to mood swings and infections – all signs of toxicity.